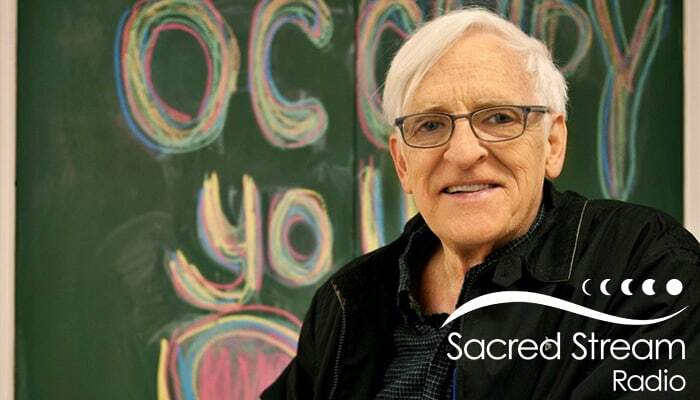 Description: This month on the Sacred Stream Radio Podcast, host Laura Chandler speaks with internationally acclaimed scholar, activist, educator, and spiritual theologian, Matthew Fox. In this episode, Reverend Fox talks about the importance of Christian mysticism and how the early Christian mystics were focused on creation spirituality and often found themselves at odds with the dominant paradigm of the church. He discusses his own dismissal from the Catholic church by Cardinal Ratzinger for the alleged heresies of being a feminist, referring to God as both masculine and feminine, for working too closely with Native Americans, and his belief in original blessing. Fox also discusses his latest work, books, the opening of his institute, and the painful effects of consumer capitalism on the spirit and how to mitigate them. Reverend Fox is a best-selling author of over 35 books and has devoted 45 years to developing and teaching the tradition of Creation Spirituality. Rooted in ancient Judeo-Christian teaching, Creation Spirituality embraces today’s science and spiritual traditions as well as eco-justice, social justice, gender justice, and the arts. Fox has significantly contributed to revivifying awareness of great Christian mystics such as Hildegard of Bingen, Meister Eckhart, and Thomas Aquinas. He has instructed at many universities including Stanford and Holy Names. This fall, the new Fox Institute of Creation Spirituality will be opening in Boulder, Colorado, offering masters and doctoral degrees. On Saturday, September 9, Reverend Fox will be joining Buddhist writer and academic, Robert Thurman, for a talk on Cultivating Peace in Difficult Times at the Sacred Stream Center in Berkeley, CA. For more information about Matthew Fox, visit foxinstitute-cs.org. The featured music is from the women’s vocal ensemble, Vajra Voices (with Director Karen Clark) from the album O Eterne Deus: Music of Hildegard von Bingen. Find out more about Vajra voices at vajravoices.com.